This low compote is cut in Sinclaire’s extremely sought-after Bengal pattern. 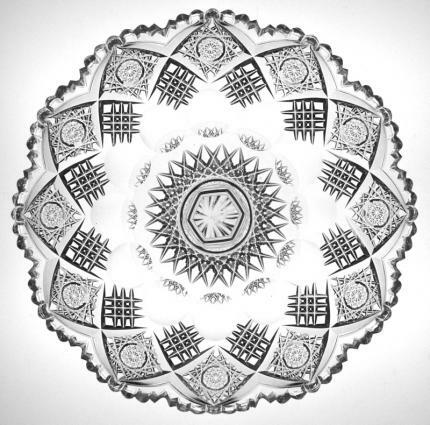 I believe these were used as petit four displays – as opposed to the larger cake plate. 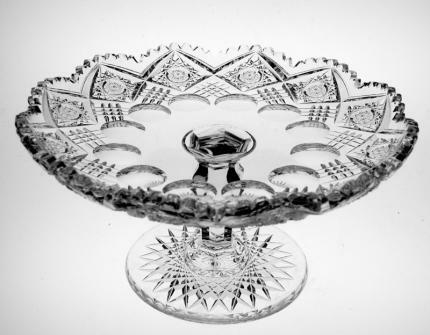 A chaine of richly cut hobstars adorns the edge of this compote. Between each hobstar is an unusual crosscutting. Punties follow the crosscut portion and give hte piece a great optical effect. 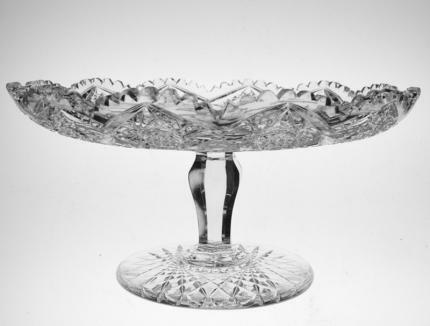 The base is covered with a 24-point hobstar. The neck is elegantly fluted. 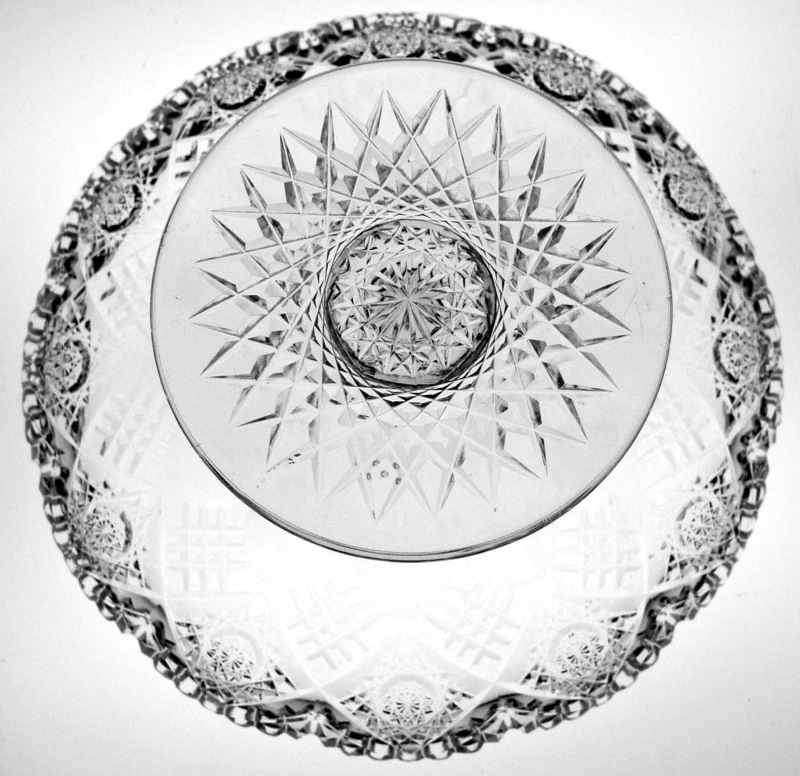 The compote is in excellent condition and measures 8 1/4″ wide and 4 1/4″ tall. Most of these compotes are cut in repetitive common patterns like Russian, hobnail and Strawberry-Diamond – this is a much rarer example of this form.